Website Reviews and Ratings | Does That Site Really Work? Finding high quality website reviews can be tough, which is why we’ve assembled this page. Below you’ll find a wide assortment of sites that people have questioned “Do they really work?”. We’ve tried to answer that question as honestly as possible so that you don’t have keep bouncing from site to site, getting confused. The Internet is great because there are always new sites popping up, with some gimmick that separates them from everything else currently available. While this provides the consumer with a nearly endless number of options, it also makes the sorting process a bit of a mess. If everyone was a good apple, things would be a lot easier, but the world we live in has its fair share of bad apples, so you just have to steer clear of them. With so much lousy information out there, how do you sift through it all and find honest website reviews that you can actually believe in? The answer is you should find a source with one helpful review, and then see what other products and websites they’ve evaluated. Build up your network of trusted sources, that way the next time you need an answer you will have a lot of tools in your tool box and won’t spend a lot of time guessing who to trust. 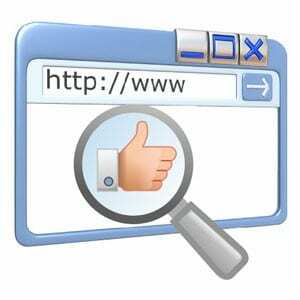 We’ve meticulously gone through each of the websites below and given them a thorough evaluation. We did our best to answer the question of whether or not they work, but by all means, don’t take our word for it. Each person is different, and when you speak in generalities you’ll definitely get it wrong some of the time. This means that if we say it does work, it might not work for you. And if we say it doesn’t work, it might work in your situation. We’re a guide, not the final say, that responsibility is yours. 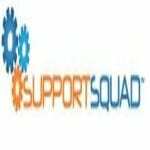 Support Squad is trying to be the site you turn to when all of your instruction manuals have let you down. If you are not technologically minded their answer in your time of need. They cover all of your digital gadgets, including your computer, smart phone, HDTV, printers, digital cameras, and more. Sometimes it is hard to find and follow the directions found at online customer service centers. Also, many companies outsource their technical service overseas creating a language barrier with many instructions getting lost in translation. Support Squad seems to handle their calls in-house, we’ll have to see our full review for our recommendation. SpyPeeps is for those that perhaps have an unhealthy addiction to another person, or for those parents want to keep tabs on what their children are doing in the social networking sphere. 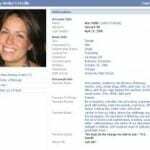 They claim to be able to aggregate all of the off-line and online information on someone and presented in an easy to read timeline. But can they really assemble enough information to make their service worthwhile, or will you be able to easily replicate the service for free using a basic search engine? We examined what they’re offering and came up with our determination on whether or not this is something you should subscribe to. WhiteSmoke is a grammar checking software that is supposed to help you reduce the number of obvious mistakes you make in your writing. It is geared more towards those that are learning English as a second language, and not really native speakers. However, anyone can use it that wants to improve on their grammar skills. While some users have complained that WhiteSmoke is just a piece of scum ware designed to transfer viruses to your computer, you cleared up the matter and set the record straight on what’s going on in regards to the downloading process. BidCactus is one of several penny auction sites that have emerged over the last decade as an alternative to using popular sites like eBay. The gimmick is it only costs a small amount to place a bid, and your hope is that your bid is the one that wins in the end. The rub is that many times you don’t actually get anything of value for the money you spend. 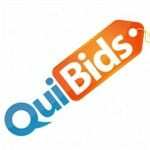 Of course there are probably lucky winning bidder’s out there that will attest to the effectiveness of the site, but the overwhelming majority will have to admit they spent money on bids and left empty-handed. 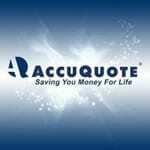 The service provided by AccuQuote is designed to give you several life insurance rates and quotes all in one place. This would be a very helpful service, because many insurers will not openly display their rates, so you have to divulge some of your personal information before they’ll tell you how much it is. With something like AccuQuote you can quickly assess the different options you have, and compare different companies all with one interface. Of course they are going to get a kickback if you end up going with one of the companies listed through their site, but for such a great service, it’s worth it, right? 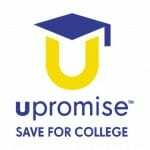 The point of uPromise is that you can save up for college by buying the things you’re already buying, at the places you’re already buying them from. It’s a sort of rewards program that lets you build up points over time, and as they accumulate you actually earn money in an interest-bearing account that is designed to help defray the cost of college. Unless you’ve been living under a rock, you’ve heard about Groupon and some of the amazing deals they offer. They do this by working with local businesses to give a limited number of incredible deals to people on a first come first serve basis. They just went public with their own IPO, something most websites only dream of. But does it actually work, and who gets the most benefit? The theory is that everyone wins, business owners get more people through the door, customers win by getting a great deal, and Groupon wins by getting their fee from small businesses. But does it pan out in the real world? VistaPrint has been around for several years, with basically the same offer. If you want free business cards, they’re the place to go. All you do is pay for shipping, so technically they’re not free, but it still boils down to very cheap cards that you can design the way you want. UnFaced is supposed to be able to help you find out who is really going to your profile. This, in theory, would give you an idea of who actually likes you or finds you interesting. It does this by creating a special link to your UnFaced profile, which they track through their system. So while you won’t be getting the real data on who is viewing your profile directly, you could get a sense of who is responding to your posts, and clicking on the links you share. Find out if we recommend using their service by seeing our full evaluation. This means that if you only bid once you can get items for 60 cents. Or, if you have to bid multiple times on the same item, it’s only 60 cents a pop, so it would take a lot of bids in order to lose a lot of money. But find out the real truth in our extended review. 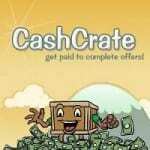 CashCrate is one of the more popular online survey websites that says you can make money buy giving your opinion. While it does sound like information businesses will pay for, the truth is they have their own focus groups and surveys to get more reliable information, and don’t need to pay random people for it. 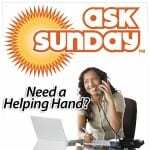 AskSunday is a website trying to cash in on the somewhat recent surge in popularity of virtual assistants. Ever since the book The Four Hour Workweek came out, more and more press has been given to outsourcing the mundane tasks in your life. This is a way to find VAs without having to guess at whether or not they can do the job. They can do things like doing the research for your next vacation, scheduling appointments, and anything else that can be done remotely, freeing you up for the more important things in life. You can safely avoid any site that doesn’t use a secure connection when processing a payment, for that has glaringly bad English, or that provides misleading information. Savvy website owners will do their best to keep you on their website, but unfortunately not all savvy businesspeople have your best interests at heart. It’s sort of like the wild west on the Internet, and caveat emptor makes more sense online than anywhere else. You as the buyer definitely have to beware, but not to the point of paranoia. There aren’t too many ways a site can get the better of you. Of course we’ve all heard stories of identity theft where a person used their credit card on a website and had a bunch of unauthorized charges. But the rest of the story is that all of these charges were likely reversed, and the website in question was probably shut down. The other part of the story is that that person didn’t use common sense when making the purchase. It’s always best to try to determine what angle a website is taking as far as its business model goes. How are they making their money? Do you see ads for other websites scattered throughout the content? If so, they are trying to provide you with free information and hope that you’ll find the answer at their site, and then click through to what interests you. If you see advertisements that are all for the product they are reviewing, then they are most likely an affiliate review site and are hoping you will click through and buy the product. Another tip is to install and use a browser app that shows you how old the site is, what kind of Page Rank it has, and where it is located. This information can give you a rough idea of what sort of site you’re dealing with. For example, if it’s a brand-new site and it is raising a few red flags in the back of your head, you might not want to trust what they’re saying. However, if they have been around for several years and their page is ranked highly by Google, there may be more validity in what they’re claiming. Of course this isn’t always the case, because clever website owners can boost their site’s popularity in the search engines, and make a very good-looking site that seems legitimate. If you are worried about making a payment at a site, there are a few things you can do to make sure you don’t get stuck with fraudulent charges. The first thing to do is check to make sure that they are using a secure connection on the payment processing page. You can quickly determine this by looking at your browser’s address bar and seeing if it has the lock icon, as well as an address that starts with “https” instead of just “http”. This means the data that is transferred cannot be intercepted by third party. One of the biggest scourges of the Internet are affiliate review sites. These websites are owned and operated by people that are affiliated with the product they are reviewing. There is no way on earth they will provide an unbiased review because their only hope is that you’ll click on their affiliate link and buy the product they just gave a glowing review on. Some of the affiliate commissions can be pretty hefty, resulting in $20, $50, or more just for making a sale. The reason these are so bad for the consumer is that it makes it hard to get a legitimate review on the product you’re interested in. After conducting your search, you’ll probably run into the official website which will of course be a one-sided argument. Next, you’ll likely find several “review” sites that will back up the claims made by the main site. Tucked on page 2 of the search results you might find a review by a real person that actually tried the product and is giving their honest feedback on how it works for them. There are several websites out there that are trying to give unbiased reviews, and aren’t too concerned with getting you to click and buy a product. There are also other sites that provide a platform for users to login and give their feedback after trying out a product. The only problem with this is you wind up with shills from the company logging in and posting phony reviews. This is just as detrimental to making a determination on a product’s effectiveness as the affiliate review sites. When a new website comes out and people start buzzing about it, it is tempting to want to get caught up in the trend in trust that the website is on the up and up. In this respect, there is safety in numbers because if a website is making press and many people are trying it out they have a sort of social responsibility to provide a quality service and not do anything shady. The same news outlets that are promoting the site will hold it accountable if too many negative reports surface. We’re trying to be one place where you can get website reviews that aren’t biased, and don’t have a hidden agenda. We openly state that you should use our recommendations only as a stepping stone to making up your own mind. Life is about trying things for yourself and deciding on how you like it. You can get as many reviews as you want, but at the end of the day you will be the one that makes the final decision on whether or not a website works the way it says.